After watching talks or videos of Propositions as Types, folk ask me how they can get their own Lambdaman t-shirt. In the past, I tried to make it available through various services, but they always rejected the design as a copyright violation. (It's not, it's fair use.) 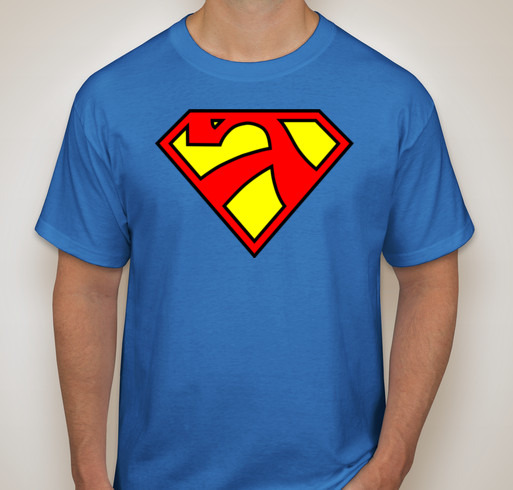 Thanks to a little help from my friends, CustomInk has agreed to print the design as a Booster. Sign up now, order will be printed on October 15. Any profits (there will be more if there is a bigger order) go to Bootstrap, an organisation run by Shriram Krishnamurthi, Matthias Felleisen, and the PLT group that teaches functional programming to middle and high school students. Order has already surpassed our goal of fifty shirts! I would like to help. Do you know if the item can be shipped to Brazil? T-shirts can be shipped to a wide variety of countries, but Brazil isn't on the list. Have it shipped to a friend in the US, and have them send it on to you. The site also lets you donate without receiving a shirt, if that's what you'd rather do. Sorry, no. Please have it sent to a friend in an area where they do ship.